Partnering with visionary corporations and foundations is part of the strategy to increase resources and key relationships in the College of Science, Engineering, and Technology (CSET). The Office of Corporate and External Relations was formed in 2017 to align strategic corporate engagement to impact new opportunities for faculty development, student scholarships and expanded programmatic support. We foster a collaborative ecosystem where industry and research flourish generating breakthroughs and technology that spur further innovation. 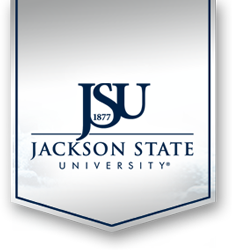 From startups to mature successful enterprises, the industry partnership possibilities are endless at JSU-CSET. When you partner with us, you will be part of leading-edge projects and programs with limitless potential that drive exceptional research, increase the pool of talented future employees and advance your industry, field and focus area forward. Please contact Angela Getter at (601) 979-0976 for additional information about partnership opportunities.